Lowland irrigated rice is a 2-page fact sheet that covers all key stages in production. Produced at a write-shop in Bolga Tanga, Ghana, facilitated by ASHC. A practical 72 page (A5, full colour) manual focusing on good agricultural practices for rice production that promote integrated soil fertility management. Produced by ASHC. 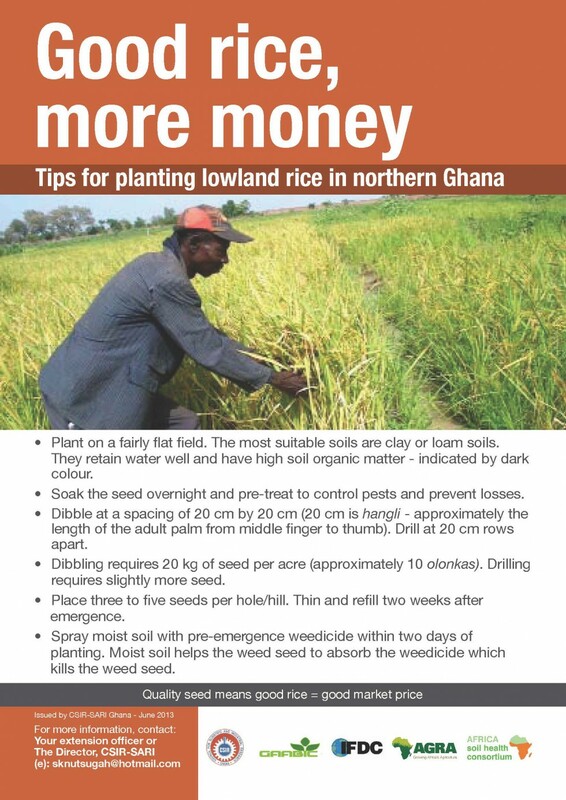 A poster entitled - Good rice more money - lowland rice: Tips for planting rain-fed lowland rice in northern Ghana. Produced at a write-shop in Bolga Tanga, Ghana, facilitated by ASHC.